Hargittai, E., & Hsieh, Y. P. (2012). Succinct Survey Measures of Web-Use Skills. 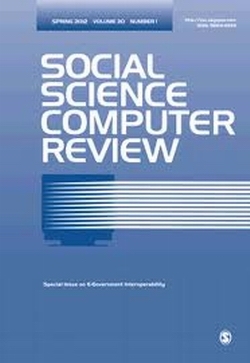 Social Science Computer Review, 30(1). There is a dearth of survey instruments for measuring Internet skills. This article presents results from additional implementations of a previously-developed index measure. It considers the performance of the original instrument over time as well as shortened versions of it on two surveys of different populations. Drawing on analyses of five different data sets, the article makes recommendations for various length survey items for measuring people’s web-use skills. It is currently published at Social Science Computer Review Online First, it is not in print yet.